Blur have added a new tour location and this time they will be playing in Montevideo, the capital city of Uruguay this year as part of the Spring Festival as part of their worldwide 2013 tour. Blur have announced several new South American tour dates recently, including landmark gigs in Argentina, Chile and Brazil. 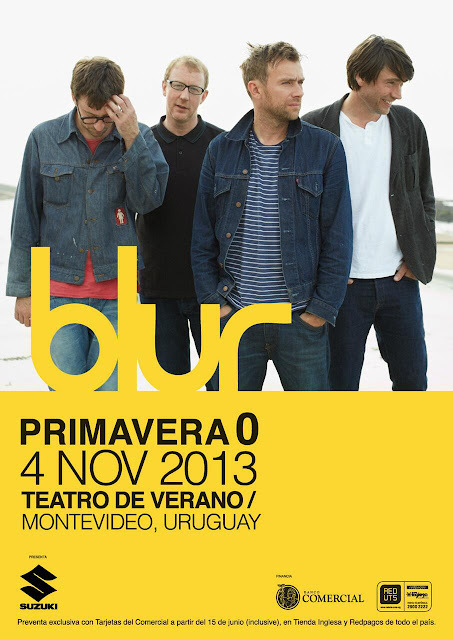 Blur are scheduled to perform at the Summer Theater on November 4th 2013 in the third festival Primavera Zero, one of the biggest music festivals in Uruguay. The band is one of the most anticipated and wanted musical acts in the festival this year, largely due to the high demand for Blur to appear in pop and rock festivals from all over the globe. The news was first tweeted by Uruguay's PopArt Director Danilo Astori Sueiro through his Twitter account one day ago, and soon made headlines on the local twitter trends page. 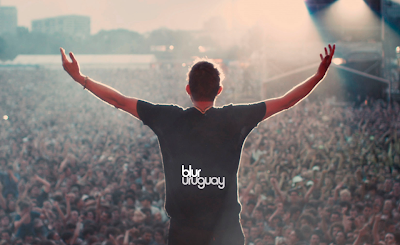 Local media have already caught up on the buzz, and many fans in South America expressed their delight at the news of Blur's first debut in Uruguay. This year, Blur have headlined prestigious music festivals such as Coachella in the U.S. and Primavera Sound in Spain. The latter festival is one of the South American venues selected for the tour. It looks as if Blur will not stop touring until late this year, and will continue their tour in different cities around the world on a mission to reconnect with old and new fans alike. Followers of the band - stay tuned as new dates have been continuously added to the Blur world tour 2013 (see full list of dates).